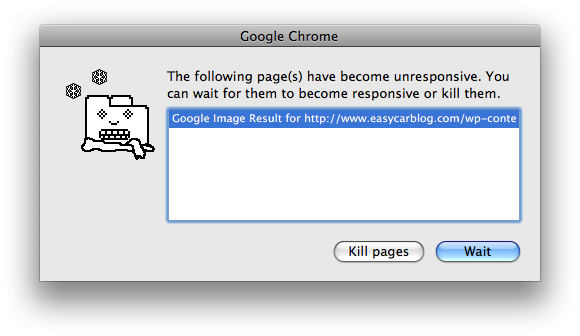 If a dialog box pops up and asks you to either Kill pages or Wait, choose Kill pages. 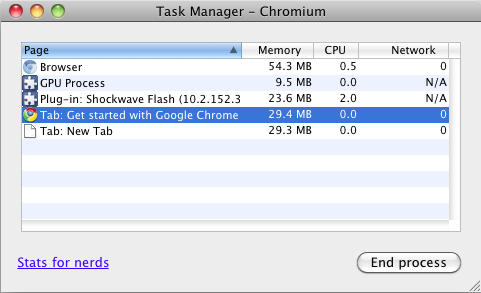 If no dialog box pops up, click on the Wrench icon, and under Tools, select Task Manager. 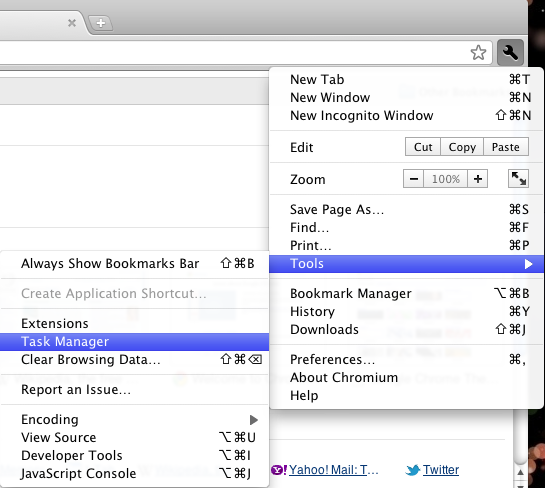 Find the tab that has crashed, and click on End process.